Fun and Beautiful Hand Painted Wine Glasses! I think painted wine glasses are very cute! Imagine having a collection of the best-painted wine glasses and offering wine to your guests on them? Why do we need to have boring clear wine glasses if we can have colorful, fun and unique hand painted wine glasses? It’s time to add some color to your cupboards! They are HUGE, at 15 ounces each one and they have the most fun and colorful designs! These will obviously make a fun birthday gift idea for any cool lady in your life! I selected a few of the most beautiful and unique ones! Cute, Festive and FUN 15-Ounce Birthday Girl Handpainted Wine Glass! 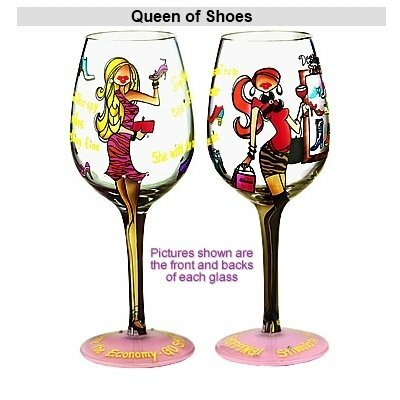 Best Painted Wine Glasses to Give as a Gift! 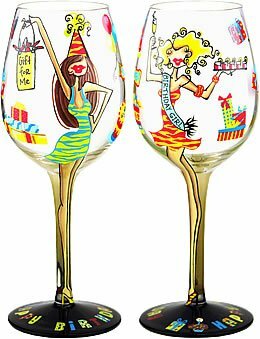 These are the ‘Birthday Girl’ wine glasses! The birthday ladies are having lots of fun at their party and they are getting lots of presents! Celebrate somebody’s birthday with this festive happy birthday painted wine glass! Buyers say these are the perfect gift for a co-worker’s birthday! Fun, adorable, colorful and creative! Looking for a lovely birthday gift for a lovely lady? I love this colorful and girly sugar skull floral blooms, butterflies, and crystals decorated wine glass! 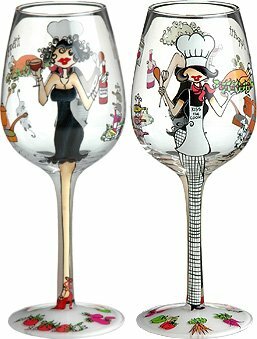 It is one of the most beautiful hand-painted wine glasses for women I have seen so far! 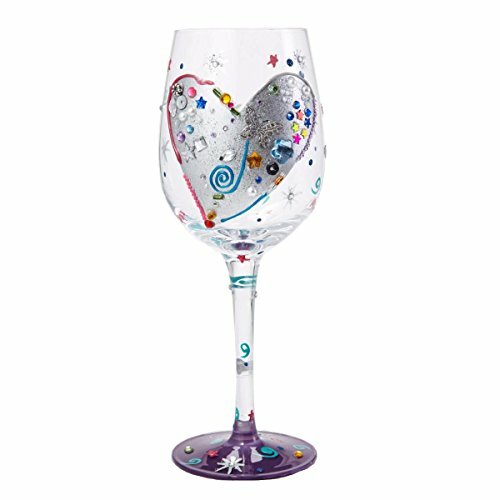 What a cute and very romantic silver heart hand-painted wine glass! *Is your sister your best friend in the whole wide world? This is what I love about these fun decorative wine glasses: there’s one for any occasion! 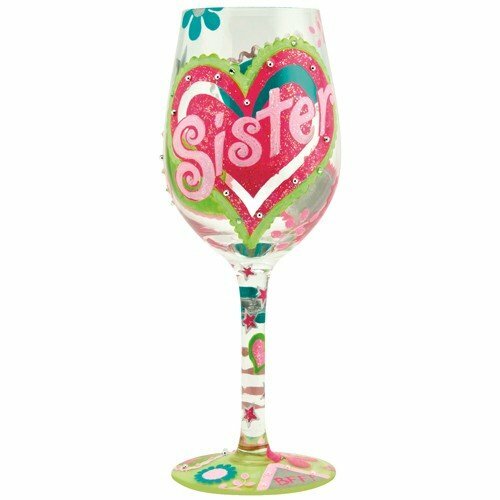 If your sister is your best friend ever and you love her very much, then this is the perfect hand-painted wine glass for her! It has a very cute and colorful hand-painted heart with the word ‘Sister’ inside! 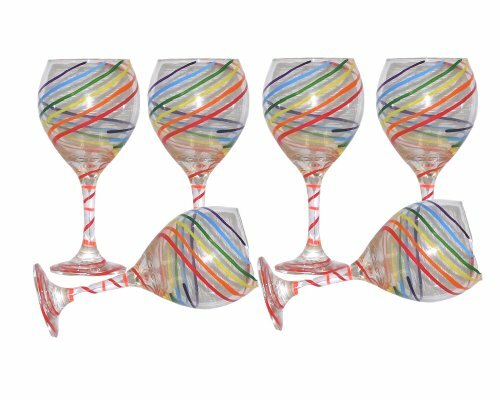 I can’t help but to think of this fun song immediately after seeing this gorgeous set of six festive wine glasses! They are so fun and festive! Perfect to use in a birthday party or Christmas party! 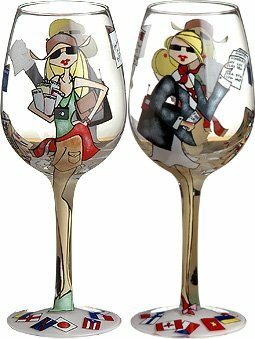 We can conduct business having the pleasure of drinking wine out of this gorgeous hand-painted wine glass! The perfect glass and gift for your favorite executive! How can you not mix business with pleasure if everything goes smoother with a nice glass of wine? *The glass will arrive in a cool gift box. You are getting only one glass. The picture is showing the same glass front and back. Beautiful Set of 4 Tulip Design Hand Painted Wine Glasses! How colorful, cute and unique are these? 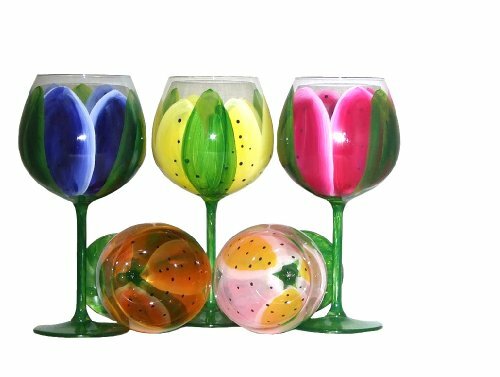 Colorful set of 4 large hand painted balloon wine glasses featuring a gorgeous tulip design! 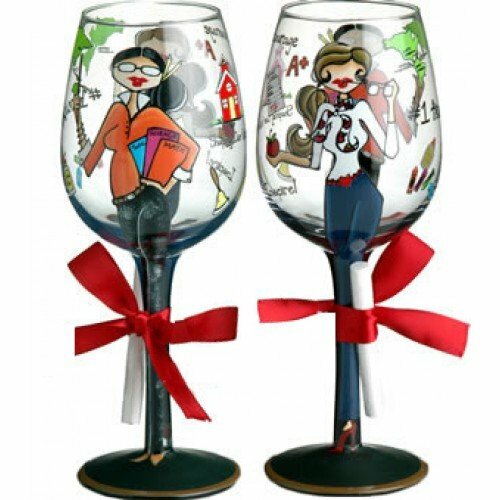 *Fun decorative wine glass gift for teachers! Cute and girly handpainted wine glass! Wonderful gift idea for teachers or anyone majoring in education! It also has some inspirational words on it such as ‘courage’, ‘inspire’ and ‘shaping our future’! Of course I wouldn’t forget my fellow zebra lovers! Fun and colorful Bon Appetite hand-painted wine glass for your collection! Affordable Christmas Tree Decorated Wine Goblets! 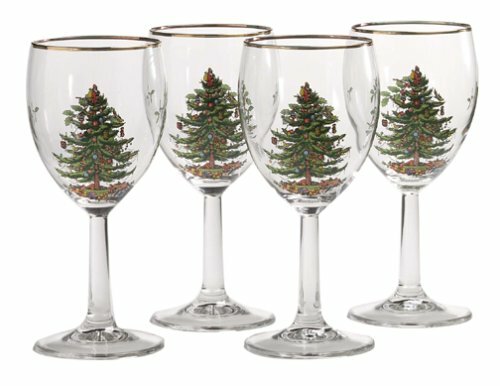 Celebrate Christmas this year with your family using these beautiful Christmas tree hand-painted wine glasses!! *Who wants to learn how to paint wine glasses? I found great video tutorials! Seems like such a fun thing to do! *I hope you enjoyed my selections of painted wine glasses! How about checking out some cute cookie jars too?